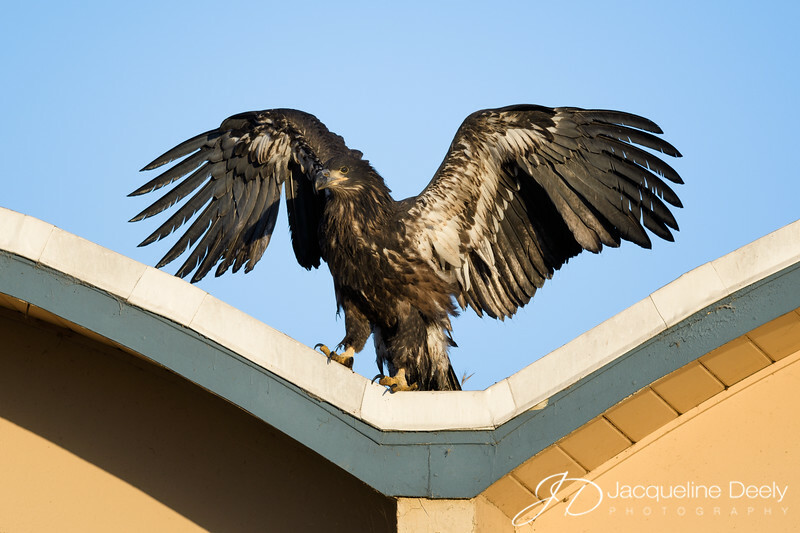 This is one of the two "famed" juvenile bald eagles at Curtner Elementary School in Milpitas, California, one of which fell from the nest and required rescue and rehabilitation. This one has successfully fledged and has been receiving food from the parents on the school rooftop. You can read more about this beautiful bald eagle family on my blog.